A division of rookie clone troopers assigned to a quiet monitoring post near the manufacturing facilities on Kamino are faced with a desperate situation when a surprise attack by a team of droid commandos leaves them alone and without guidance. 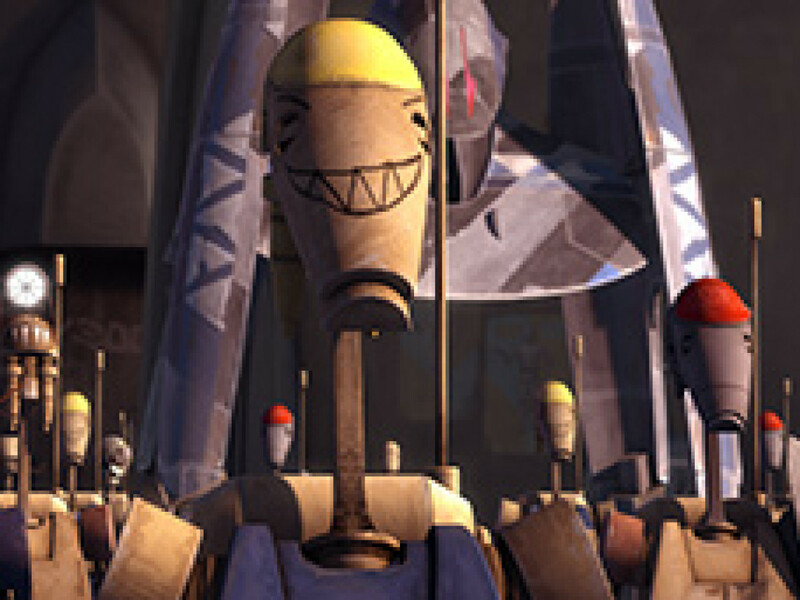 The troopers from “Clone Cadets” (S301) first appeared in this episode. Here they wear the standard white clone trooper armor. 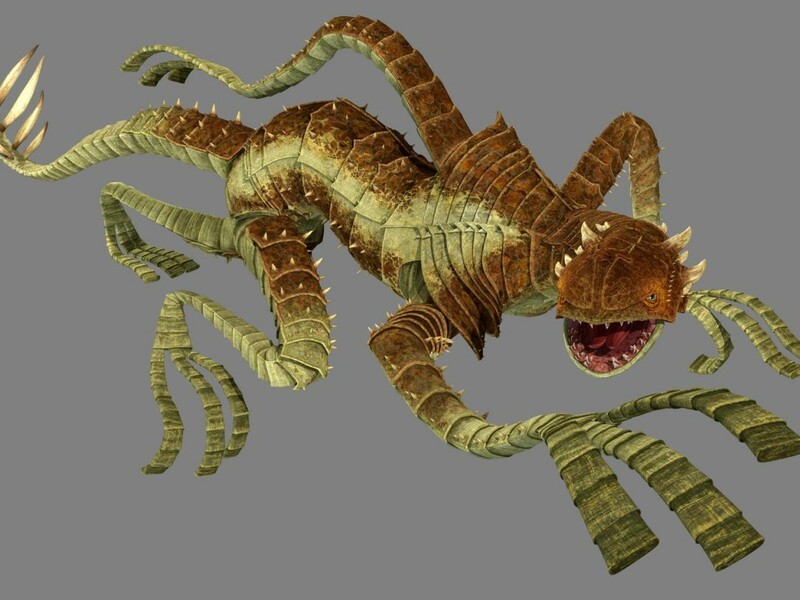 At the start of this episode, they mention a sighting of Grievous in the Balmorra system; Anakin’s squadron flew the Balmorra Run in “Shadow of Malevolence” (S103). 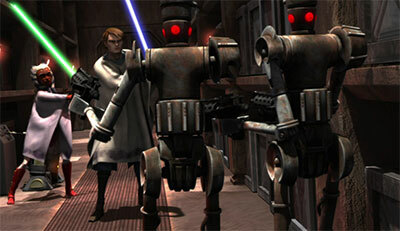 This is the first time we see commando droids, which are new to the series. This is also the first time in the series that the 501st clone trooper unit is mentioned by name. 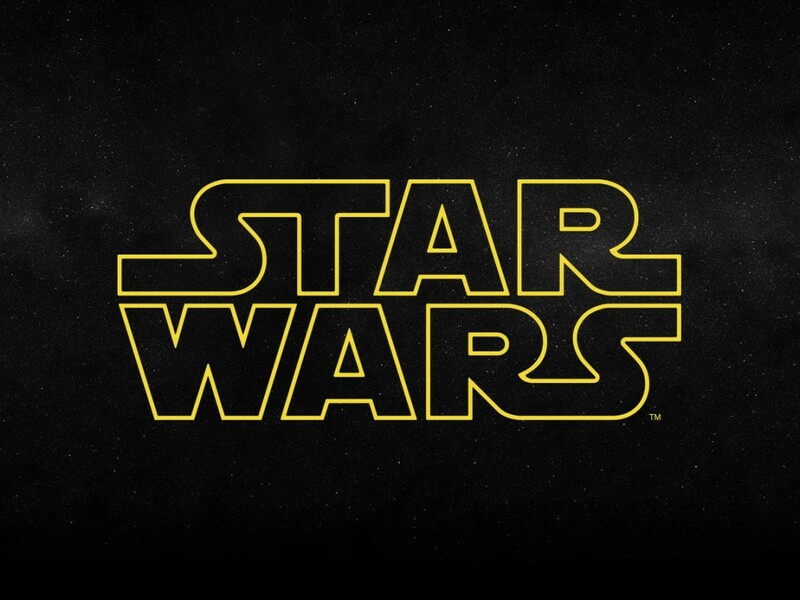 When R2-D2 vanishes during an intense battle in space, Anakin must go on a dangerous mission behind enemy lines to rescue him before the Separatists can help themselves to the Jedi military secrets stored in his memory banks. 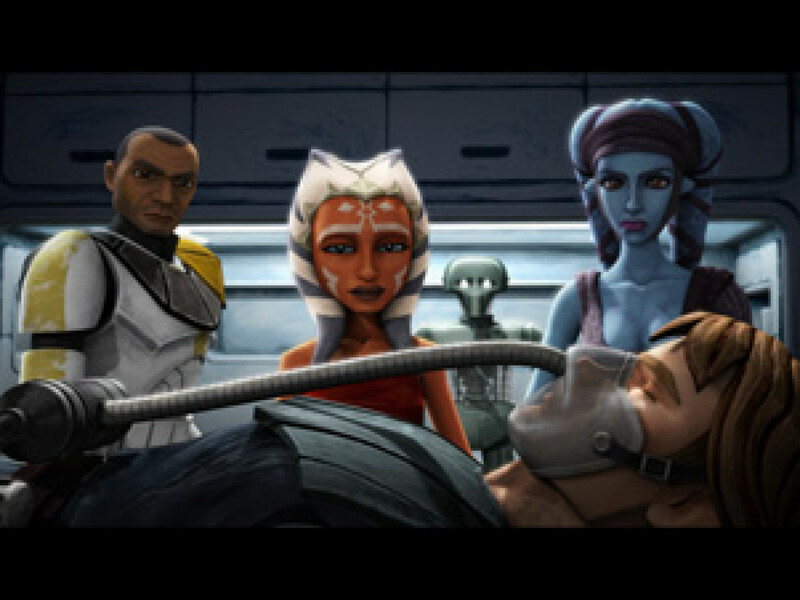 As Anakin, Ahsoka, replacement droid R3-S6, and a group of clones break into General Grievous’ secret post to rescue R2-D2, the cyborg general seems to anticipate their moves and it becomes apparent that a member of their team is tipping him off. S106 and S107 make up one of several two-episode story arcs in Season One. One of the members of Anakin’s unit has unique blue vertical lines that go down the eye sockets. This is clone trooper Denal who will appear in later episodes. Anakin’s starfighter gets shot down, but don’t worry — there’s more where that came from. The Separatists are stunned to find that the comical Jar Jar Binks is a Jedi Knight as the Gungan pairs with C-3PO to prevent the evil Viceroy Nute Gunray from having Naboo’s queen, Padmé Amidala, executed. 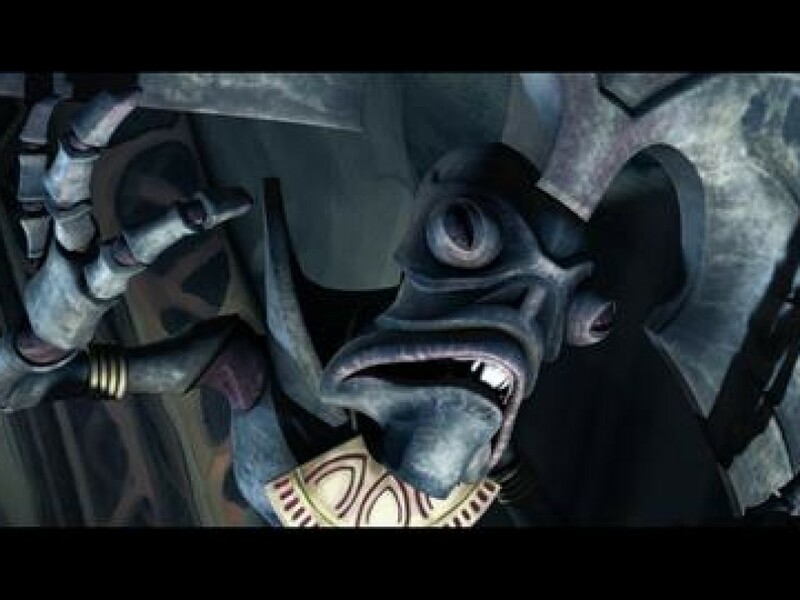 This is Nute Gunray’s first speaking appearance in the series. His story thread here will be carried over to the next episode. 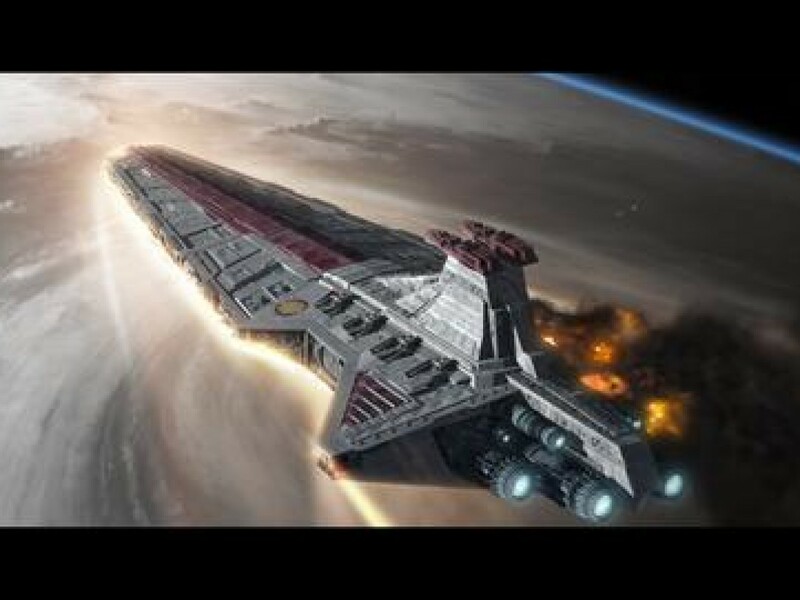 Padmé loses a second H-type Nubian starship. 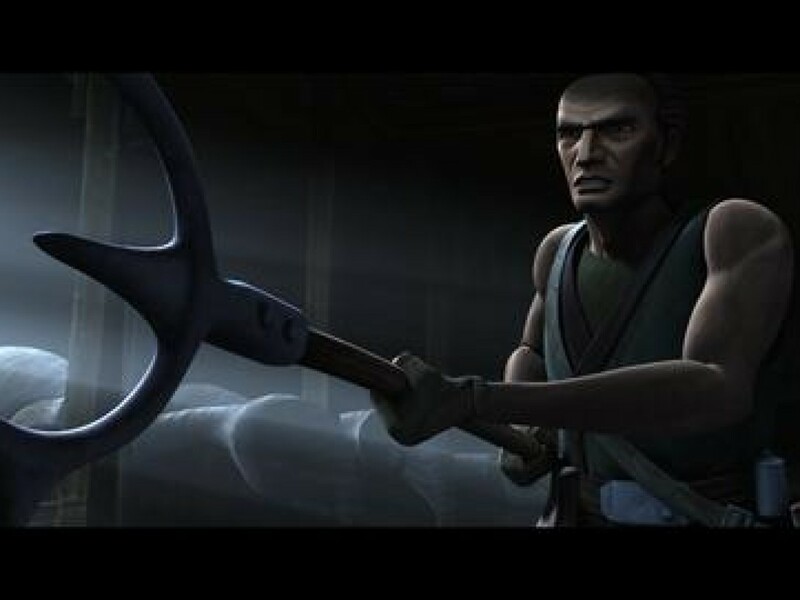 Rodian Senator Onaconda Farr makes his first of many appearances in the series. Commander Gree, who serves under Luminara Unduli and will later be seen with Yoda in Revenge of the Sith, also briefly makes the first of multiple series appearances. We’ll see Silood again in the series, albeit under much more solemn circumstances.